Plate Flanges, Plate Flanges Manufacturers & Exporters, Plate Flanges Suppliers. We Royal Steel India one of the leading Manufacturer, Exporter & Supplier of Plates flanges. 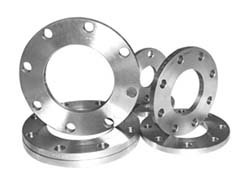 Plate flanges are special types of flanges that have raised face and back ups. Made from quality mill plates, these flanges have high weldability & hardenability. Our range of plate flanges can be availed in different dimensional specifications depending upon the requirements and their applications. We offer a wide range of Plate flanges that are available in plate, plate blank and screwed boss types. These plate flanges are manufactured with graded stainless steel, duplex steel, nickel alloy and copper alloy ensuring optimum functionality and smoothness. Based on the specifications, detailed by our clients, we can also develop these plate flanges within stipulated period.